1. 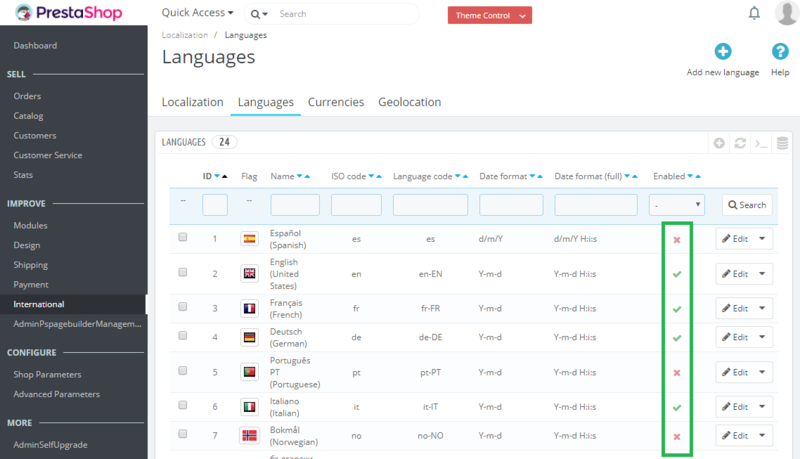 Go to your Prestashop backoffice > International > Localization. 2. Click the “Languages” tab as shown on the picture below. 3. In this section you will find all the available languages. You can enable or disable any languages by clicking on the column “Enabled” as shown in the image. Disabled languages are marked with a red cross symbol while the enabled languages are marked with a green check symbol. Remember that you can have up to six languages enabled at the same time. Platform and follow the instructions in this post to carry out the process. We are going to explain what to do in case the modifications in product prices are not visible. Keep reading if you have faced this problem.